For aggressive representation after an accident on the road or at work, people in Oakland, California, rely on Butler Viadro, LLP. Each attorney at our law office has earned the rating of AV* from Martindale-Hubbell, signifying excellence in the courtroom and utmost emphasis on ethical practice. Although we do everything in our power to negotiate with insurance companies and obtain comprehensive settlements without going to trial, we are also skilled litigators who have successfully secured seven and eight-figure jury verdicts/court judgments. Our attorneys represent clients who have sustained many kinds of serious injuries, including significant burns, paralysis and amputations. Although we cannot undo the pain and suffering caused, we stop at nothing to recover compensation for pain and suffering as well as the costs of medical treatment, funerals and lost wages and lost earning potential. We also recognize that lesser physical injuries can nonetheless have a financially catastrophic impact where residual physical limitations are incompatible with job duties. Our law office also provides a full array of workers' compensation services to address workplace injuries to union members and other workers. We leverage a high level of experience in employment matters to resolve niche cases involving California workers' compensation, longshore and harbor worker cases or Social Security Disability. These cases often go hand in hand with a personal injury case. Butler Viadro's attorneys have extensive experience in handling both so that the client benefits most. Attorney James Butler is a certified specialist in workers' compensation with more than 20 years of practice. 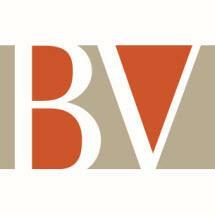 Butler Viadro, LLP, welcomes prospective clients to arrange a free initial consultation at the firm. We work with people with cases across the Bay Area and throughout California.